Interview with Jodi Kendall and GIVEAWAY of Dog Days in the City! A member of SCBWI, author Jodi Kendall grew up in Columbus, Ohio (the setting of her books) and she currently lives in New York City. 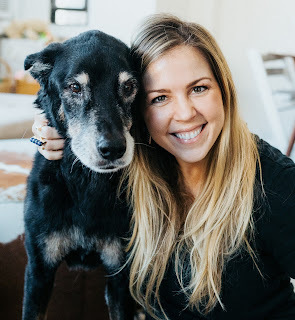 She has an MFA in Creative Writing and was a freelance writer for the National Geographic Channel digital media team right when Nat Geo Wild was just getting off the ground, where she contributed content for them. Jodi has two books with HarperCollins. The first, published in 2017 is called The Unlikely Story of a Pig in the City, and is a story that follows Josie Shilling and her family as Josie tries to find a new home for a very rapidly growing piglet named Hamlet. 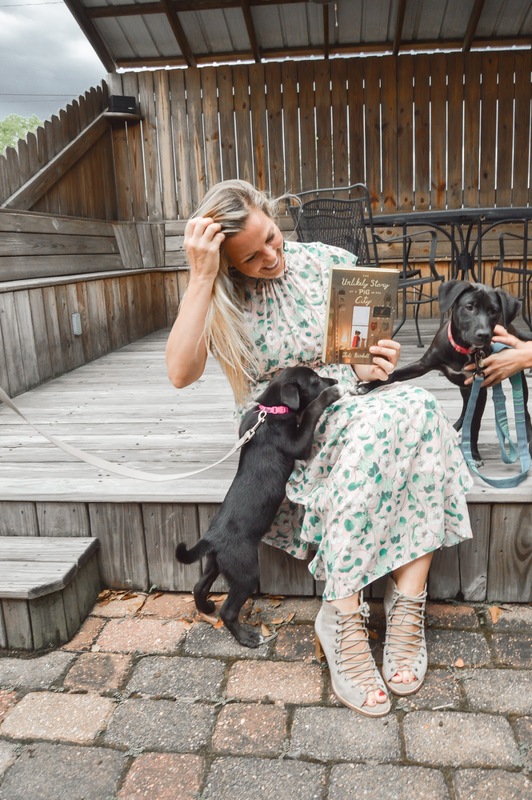 We’re here today to talk about her second book, DOG DAYS IN THE CITY, which is available everywhere October 2! Hi Jodi, and welcome to Twenty by Jenny. You have a new middle grade book out with HarperCollins! DOG DAYS IN THE CITY, which is a follow-up story to THE UNLIKELY STORY OF A PIG IN THE CITY. Yes! I can’t wait for it to finally be on shelves! In The Unlikely Story of a Pig in the City, we meet the Shilling family, and the main character, Josie Shilling, is tasked with finding a home for a very fast growing piglet named Hamlet. 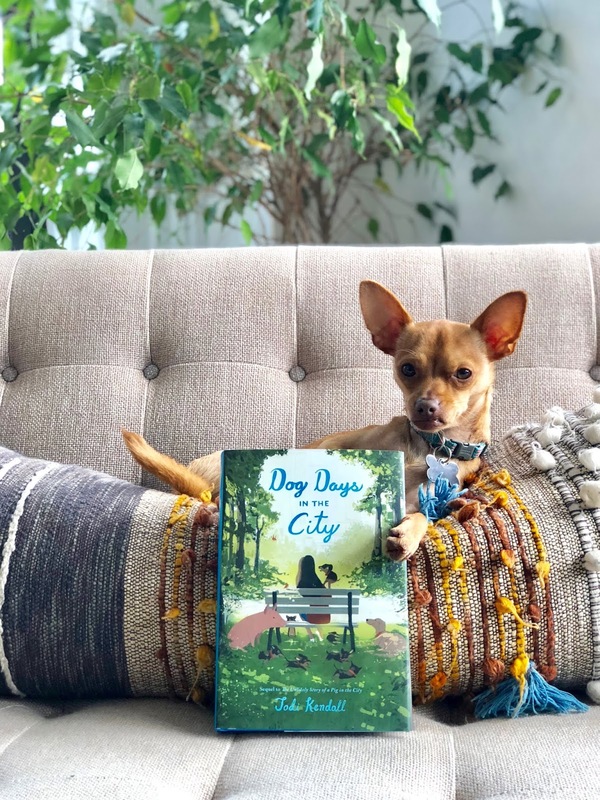 What can readers expect to find in your new novel, Dog Days in the City? The sequel picks up seven months after the first book ends. It’s summertime and now-12-year-old Josie Shilling has quit the gymnastics team and volunteers at the local animal clinic, the one place she truly feels like herself. 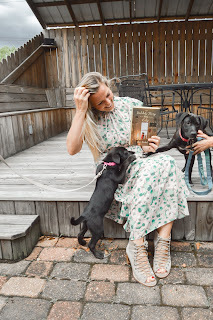 But then a mysterious box appears on the clinic’s front steps, and Josie suddenly finds herself in charge of a litter of adorable, mischievous puppies! There’s no way her parents will let her keep them. So Josie has two weeks to find them a forever home. But finding one home for Hamlet the pig was hard enough—and now she needs seven. On top of that, her family dog Sugar is getting older, and Josie’s family is fighting more than ever, and being twelve isn’t all it’s cracked up to be. This summer will bring unexpected changes for Josie, as she learns about growing up, letting go, and loving your pack no matter what. DOG DAYS IN THE CITY is dedicated to my beloved dog Moose, who we adopted as a puppy and passed away last fall at the age of 14, and for anyone who’s ever loved a dog. What new characters are you excited for your readers to meet? What about old characters—how have they changed? Oooh, this is a great question. My favorite character to write is Josie’s oldest sibling, her brother Tom. He’s funny and his dialogue practically writes itself. I love when he and his sisters banter back and forth. The first book has a lot to do with family character growth, and the second book has a deeper focus on Josie’s friendships. She’s having a bit of a falling out with her best friend, Lucy, and then there’s drama with someone moving OUT off the block and someone new moving IN. Hamlet makes an appearance, so I know a lot of readers will be happy to see her again! But I really can’t wait for everyone to meet the adorable rescue puppies… they’re so fun and mischievous and they need good homes! It is clear from reading these books that you are an animal lover! How many pets have you had? Did you have a lot of pets growing up? Animals have always been a big part of my life, both personally and professionally. I’m fascinated with human-animal relationships and I’m sure I’ll continue exploring this theme in future books. I grew up with a lot of pets including fish, dogs, hamsters, rabbits, ducks, a green iguana, and even a pet pig! In my adult life, I’ve owned three dogs. We just have one dog right now. One day, I’d love to own a big farm and adopt all kinds of animals. Here's a throwback video of our family pig! You are also passionate about animal rescue, all the way from dogs to horses. What animal rescue efforts are you involved in, and can you explain why it is important to “Adopt Not Shop”? Approximately 3.5 MILLION dogs enter U.S. animal shelters every year... and nearly 1 million of them are euthanized. It breaks my heart. We’ve adopted three dogs in the last fifteen years and they’ve each been an incredible blessing to us in their own ways. If anyone reading this is considering a new family pet, PLEASE consider adoption first! Check out petfinder.com, or visit your local shelter, or contact the nearest reputable rescue. Fostering is also a great option for helping care for homeless animals, especially if you can’t make a full-time commitment to pet adoption. And non-profits always need volunteers and donations, so there’s a variety of ways animal advocates can chip in and make a difference! Our current rescue dog is a 2yo Chihuahua that was saved from a hoarding situation out in California. We adopted him from Waggytail Rescue, and we’ve fostered a couple of dogs for them too over the last year. I’m also very active in equine rescue, primarily with the equine non-profit Rocking R Ranch & Rescue in Mississippi. 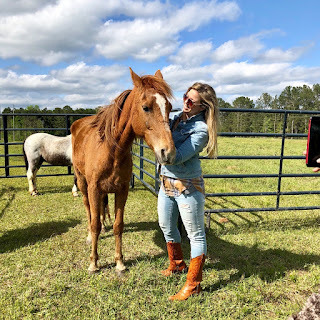 I’ve flown down twice this year to attend an auction and help bid on horses destined for the slaughter pipeline, and also to help out the rescue with general horse care, from grooming and bathing and feeding to clean-up around the ranch property. I also aim to fundraise for the non-profit and get the word out about these incredible horses, donkeys, and mules that are up for adoption. Donations really do make a world of difference in saving the lives of animals, and I’ve seen it for myself on the frontlines. 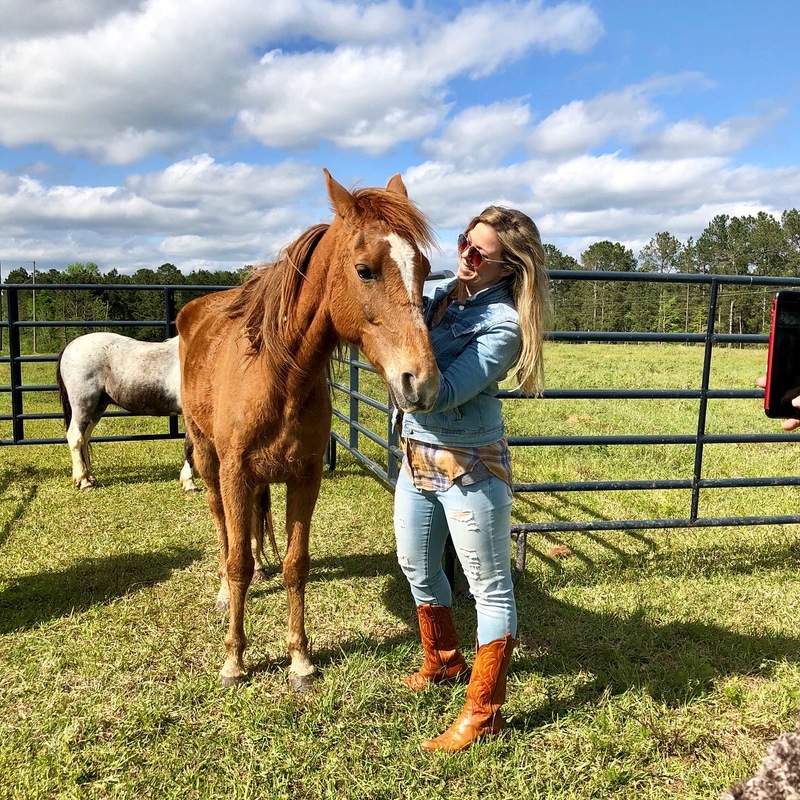 This horse "Birdie" is a gaited Saddlebred pictured on the day she was saved from a kill buyer and transported to the rescue non-profit's ranch to receive veterinary care and rehabilitation. What are some of your favorite “animal” stories for children? Oh, so many! THE ONE AND ONLY IVAN by Katherine Applegate, PAX by Sara Pennypacker, CHARLOTTE’S WEB by E.B. White, and THE BLACK STALLION by Walter Farley to name a few. If readers are interested in learning more about my childhood favorite books, stay tuned for my contribution to “The List” on HarperCollin’s website – It’ll publish on the website very soon! 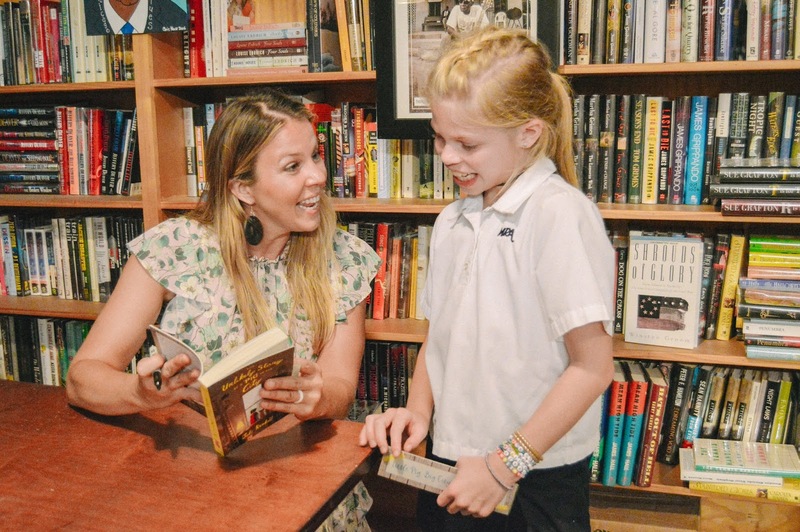 What do you love about writing for this age group? There’s so much to love about 8-12 year olds. They’re becoming more aware of themselves and how they relate to their peers and family members. They’re curious and funny and contradictory and brave. 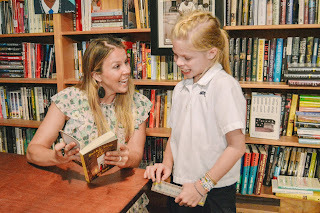 I do a lot of author school visits, and I always feel so grateful and impressed when in their company! Of the 7 puppies in Dog Days in the City up for adoption, which one would you take home? That’s a tough one! Probably Speedy. She’s the smallest of the litter, but she’s clever and lightning fast so don’t underestimate her! She’d be a very loyal companion and always up for any adventure. 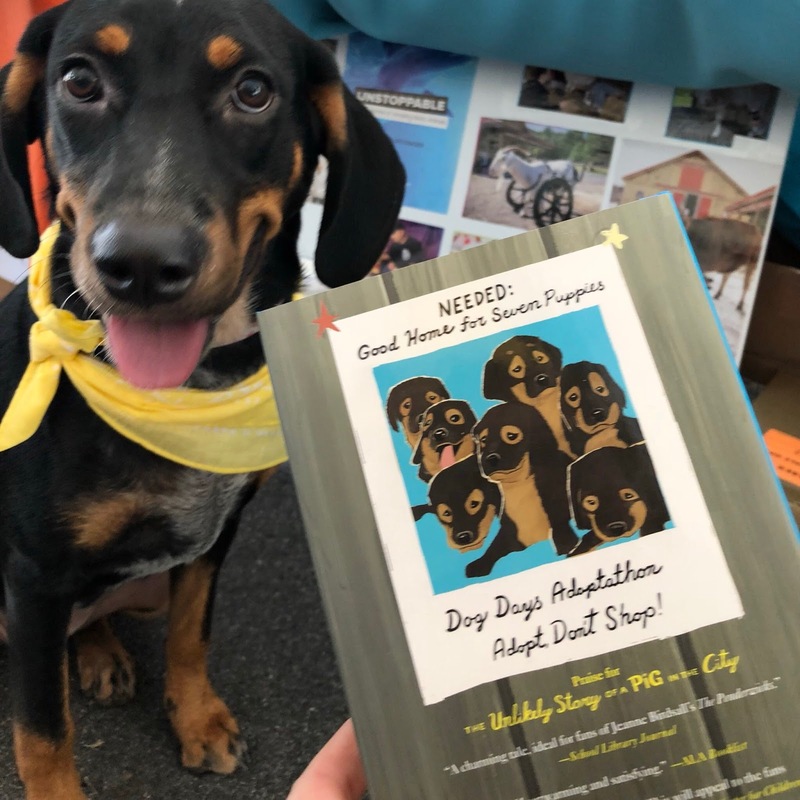 Don't miss reading DOG DAYS IN THE CITY! And be sure to enter the giveaway below! 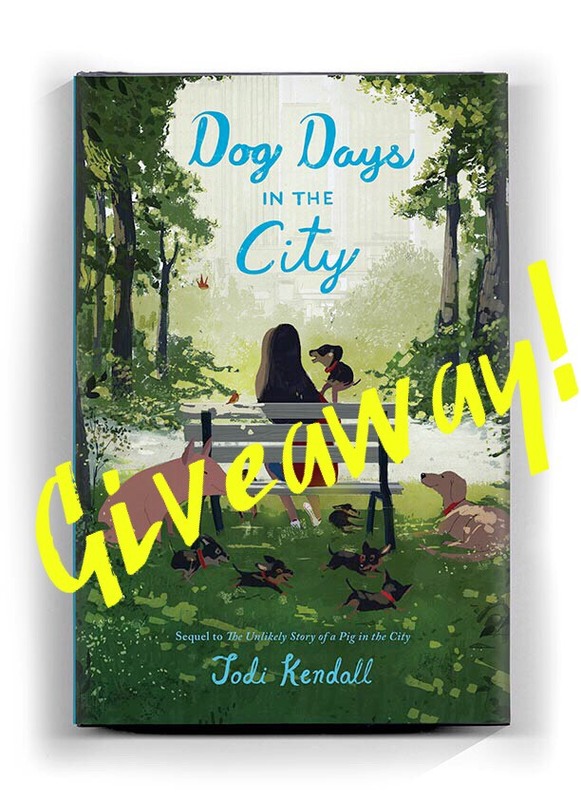 Leave a comment below for a chance to win a signed hardback copy of DOG DAYS IN THE CITY plus some fun bookmarks and paw print stickers! There are all sorts of wonderful things a person might see very early in the morning…And if you are very, very lucky, you might even catch a glimpse of the girl and her Sweep. Welcome to Victorian London, where “climbing boys,” or orphans hired by chimney sweeps, fit in narrow spots, cleaning soot out of the chimneys on both sides of the Thames. 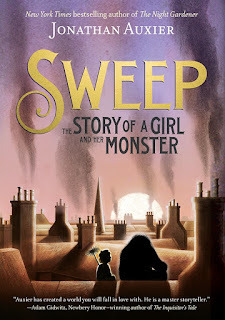 In Jonathan Auxier’s middle grade novel, Sweep: The Story of a Girl and Her Monster, the reader is introduced one such climber, young Nan Sparrow, who works for the horrible Wilkie Crudd. Nan is Master Crudd’s best climber, and she’s better than the boys. But when a dangerous climb through a chimney goes wrong, and Nan narrowly escapes with her life, she finds it’s a piece of charred clump of soot that she keeps in her pocket that saves her. Except, when it saves Nan from burning, it is no longer a small and insignificant piece of charcoal, but the soot has come to life—a golem. The golem—called Charlie—and Nan, must navigate chimneys on their own, hiding out in the so-said to be haunted House of 100 Chimneys, befriending the mudlark Toby Squall, the young boy searching for treasure to peddle in the banks of the Thames, and his rat, Prospero. Together, they will search for the clues leading them to Nan’s original Sweep, who disappeared when she was very young. In a wondrous story that sweeps you off your feet, do not miss Jonathan Auxier’s newest novel for young readers. If you take the magic of Mary Poppins, throw in a dash of Dickens, add the heart of Nan Sparrow, then you have an original story of friendship, hope, and magic. Then you have Sweep: The Story of a Girl and Her Monster. Looking for a signed, first edition copy of SWEEP? Click here!